Emma turned 11 in April and got her acceptance letter into Hogwarts, lol. She’s been so into the books and it’s absolutely one of my favourite series so I’ve been thrilled to experience all things Potter with her. She was VERY excited about the thought of a HP birthday party, so I hit Pinterest and got a ton of super cool ideas. There are a ton of details I want to share, so I’m going to do several blog posts about the party. Here are all the snacks we did, with the link to where I found the idea if applicable! The owls and labels were purchased at Michael’s. 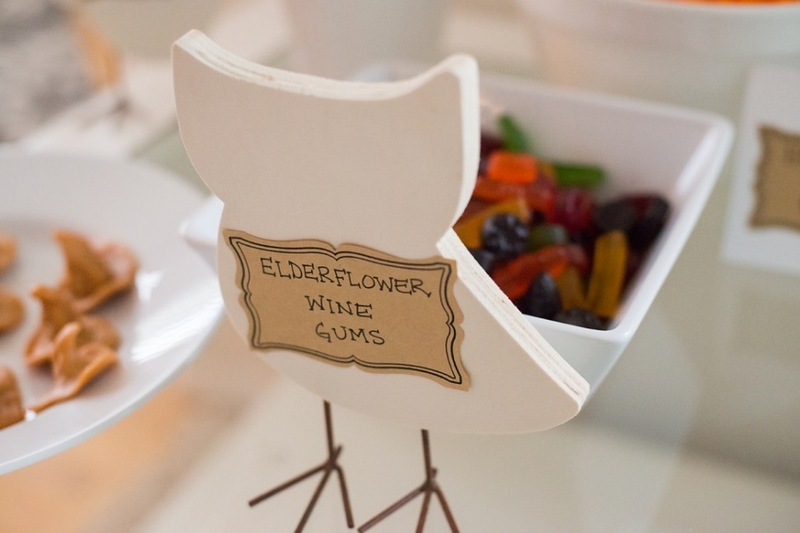 Edlerflower Wine Gums. 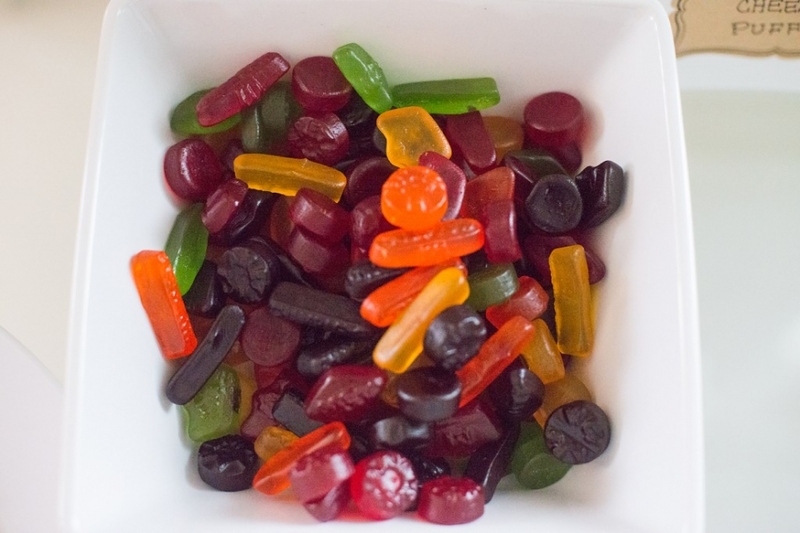 Wine gums are not really a thing in the US, so if you’re from there you won’t really get this one, but it was super easy to dump a bag in a bowl, and a big hit with the kids! Again with the super easy, Hufflepuff Cheese Puffs. Cheetos. This was my favourite, lol. Ollivander’s wands were made with pretzel rods, melted chocolate and sprinkles. Charlotte loved helping with this snack. Caramel Sorting Hats. This was the most fun for me to do, it was like yummy play doh! Just some Kraft caramels popped in the microwave for a few seconds to make pliable. I found the idea here, and used two caramels per hat, and a wooden skewer to make the face. Butterbeer. Ah, this was SO TASTY, but alas, looked nothing like butter beer. Why? Because the recipes all usually call for Cream Soda. And in Canada – CREAM SODA IS BRIGHT PINK, not cream colored. So even with adding some green food colouring to try to make brown – we still had purple Butterbeer. But this was probably the biggest hit – the kids loved the super sweet taste and drank it ALL! We kind of experimented with the recipe – it was just cream soda and Hershey’s Top Scotch – butterscotch syrup. Bertie Bott’s Every Flavour Beans. Totally cheated on this one. We bought the real deal at the Harry Potter exhibit in Edmonton and they were disgusting. I got an ear wax one that made me gag for a good five minutes. So for these, we went to Costco and bought a bag of regular old Jelly Bellys. I didn’t need any puking kids at this party, lol! Cheese broomsticks. I found this amazing idea on Pinterest, and it was SO DARN EASY! I even skipped the chives because I’m lazy like that. Slitherin Snakes. Haha, gummy worms from Walmart. Easy Peasy. Golden Snitches. Again, CHEATED. Josh came home to me crying in the kitchen because for whatever reason, my chocolate cake pops did not turn out and the party was in an hour. The cake pops were AWFUL. They weren’t even round. So he saved the day, ran to Tim Horton’s and bought 30 Old Fashioned Tim Bits, which I then stuck on a stick and dipped in yellow candy melts, then covered in gold sparkles. Ta Da! 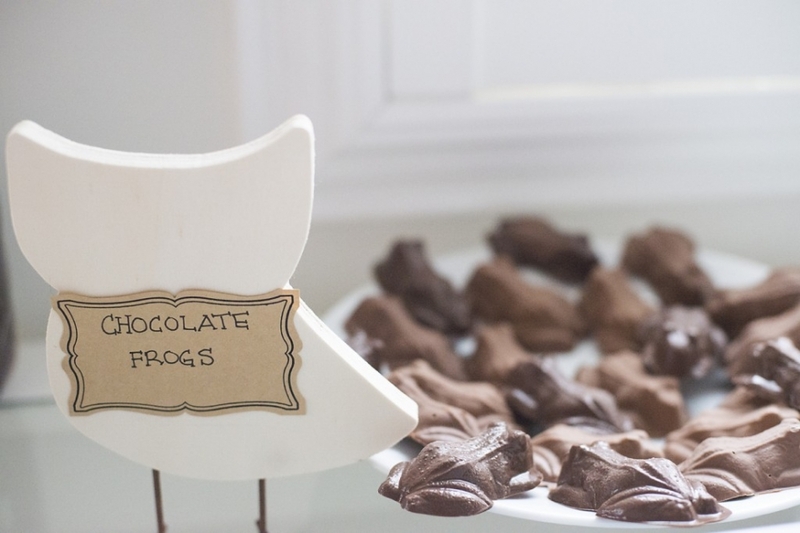 The wings were made out of gum paste with a leaf cutter (clever, no?) and brushed with edible gold powder. Marty C - Very creative sorting hat caramel treats . Nice well done party with lots of Yummy Treats . Harry Potter Had such fun treats in in..